Master Distiller Jimmy Russell’s years of craftsmanship are reflected in the quality of Russell’s Reserve, a limited edition of hand selected 10 year old 101 proof bourbon, created in the genuine Wild Turkey tradition. Nowadays, Russell’s Reserve is everywhere. And it’s not just a single expression – it’s a premier brand in and of itself with no less than four core offerings. The brand’s flagship bourbon, Russell’s Reserve 10-year, is rooted in the original 2001 release – major differences being proof, aesthetics, and the addition of Eddie Russell as Master Distiller (though arguably Eddie’s influence has been a part of Wild Turkey for many years). I’ve had the pleasure of sipping numerous Russell’s Reserve 10-year bourbons over the last couple years. These have all been the standard 90-proof squat bottle (different labels) ranging in dates from 2005 to present. Some are better than others, and a few quite amazing (ahem, 2005-2006), but all enjoyable KSBW with signature Wild Turkey character. When it comes to the original RR 10/101, I’ve heard nothing but incredible things. And now, thanks to the generosity of a fellow whiskey enthusiast, I have the opportunity to see if the rumors are true. My guess is that it will taste similar to Wild Turkey 101/12, but I’ve been surprised by WT so many times in the past that it’s probably best to take that idea and drop it (like 11 proof points 😉 ). Overall: Well, I certainly understand what the fuss is about. But there’s something else here … I’ve had this profile before. It might not be the same exact whiskey, but something very, very close. I think I’ve got it … Davidson’s Russell’s Reserve Single Barrel private select #2394! It’s a good thing I saved about ¾ ounce of the Davidson’s for just such an occasion. And … confirmed! These two bourbons, while 4.5% different in ABV and over ten years apart in release date, are extremely similar in profile. 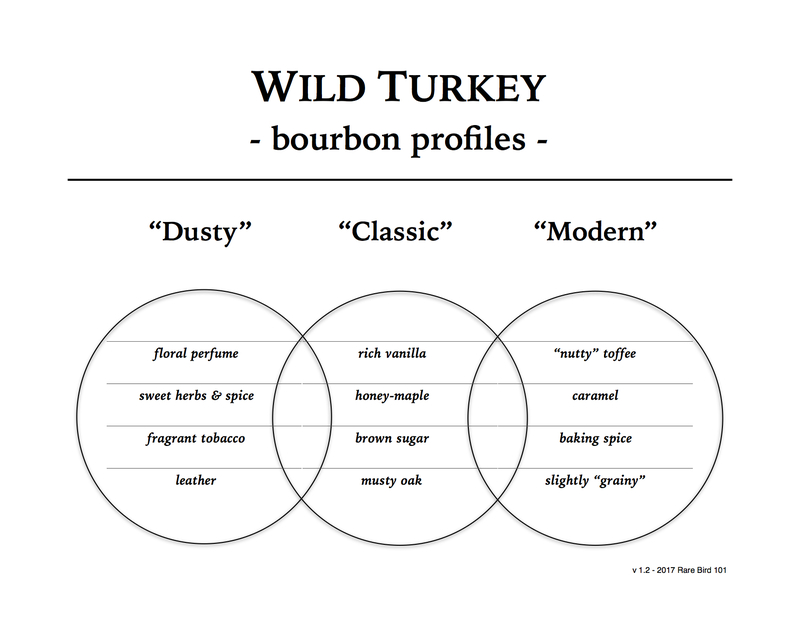 In a nutshell, they’re both classic Wild Turkey on turbo boost. But as similar as these two whiskeys might be, I should wrap things up with focus back on the star of this review, Russell’s Reserve 10/101. I must say that I was surprised to find very few dusty notes in this 2003 release. From my experience, early 2000’s Wild Turkey expressions are often laced with dusty notes – even saturated with them at times. As mentioned in my introduction, I had expected this to taste similar to export WT 101/12. It turned out far from it. Other than some dusty leather, this profile is quite possibly the epitome of classic Wild Turkey – particularly the intense vanilla, maple, and brown sugar. In summary, if you find a bottle of Russell’s Reserve 10/101 on a dusty hunt, it’s a no-brainer buy (though you’d likely have more luck winning the lottery). Like many older Wild Turkey expressions, it’s hard to put a secondary value on this whiskey. I realize there’s significant demand for this release (and a limited shrinking supply), but with at least one Russell’s Reserve Single Barrel select similar in profile, I’d highly consider doing some sample comparisons before any commitment. Rarity, value, and considerations aside, this is undoubtedly one fine pour and a fitting bourbon to carry Jimmy’s name. Is there a way to determine what exact year bottling of Russell Reserve 101 I have. I know it’s pre 2005 as it’s still at 50.5%.